What did Fido tweet today? You’ve got social pets. Fido is the king of the dog park and Virgil is lead singer of the neighborhood cat quartet. But are they truly social? Wouldn’t it be great if your pets had their own Twitter account and let their pals know what they are up to? Mattel’s Puppy Tweets hooks to your pet’s collar and periodically sends tweets based on their activity. 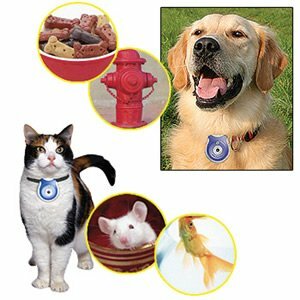 Everyone will know if your pooch is chasing squirrels or sleeping on the couch while you are away. If you’re dog is more of the Flickr type, you can get him a personal camera. The Pet’s Eye View Camera takes photos throughout the day and stores them for you to download when you get home. Imagine the excitement of seeing food dishes, the couch, and Animal Planet on the television. Yahoo! recently introduced Search Monkey, a feature that allows users to customize their search results. You can add little applications for your favorite web sites and they will have increased information and functionality when they appear in a search result. Alcala Pet Care now has a Search Monkey application to make it even easier to contact us and make a reservation. Simply visit the San Diego Dog Information application and click the Add Enhanced Results button. There’s nothing for you to download or install on your computer. It’s just telling Yahoo that you would like to see more information about Alcala whenever it appears in a search result.